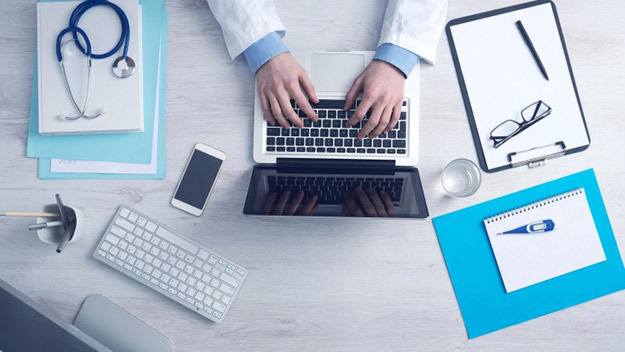 Why Healthcare Providers & Organizations Must Market Themselves | ASTRALCOM - Content Strategy, Conversion Marketing and Customer Acquisition. Now more than ever before healthcare professionals must utilize effective marketing strategies. Choosing a physician is no longer random or arbitrary. Rather than making decisions on word of mouth, patients now regularly access comprehensive data on healthcare professionals online. So, as a physician, ensuring that you have a strong online presence is essential. At one time, digital marketing methods may have been regarded as optional for the healthcare industry. However, this has all changed. There are vital issues to bear in mind when formulating marketing strategies as a healthcare professional. People are now able to access physician reviews on various websites prior to making their selection. A patient can now easily find doctors in their area and often even a specific neighborhood. They can filter results based on critical factors such as ranking, pricing and more. This helps to do away with the guesswork for the prospective patient. Users can now access practical and convenient means of assessing the experience, skills, and competence of doctors. Secondly, more and more individuals are developing preferences for natural remedies. In today’s world, there is now an emphasis on healthy eating habits, exercise, and natural cures. As a healthcare professional, embracing and supporting this trend can go a long way toward reaching your audience. Finally, websites such as WebMD are helping individuals to make educated healthcare decisions. People in many instances do not feel obliged to book consultations with physicians for simple diagnoses. Websites like WebMD have empowered them with in-depth healthcare and medical data. Rather than scoffing at such a notion, healthcare professionals who can effectively market themselves to attract users of these sites will be in better position to grow their practice. Still, there is no substitute for face to face doctor consultations. Technology, no matter how advanced it gets, cannot replace the services of a competent physician. Instead, it can act as a useful supplement for such vital services. The medical professional who embraces these concepts will be a step ahead in today’s information-driven environment. AJ Agrawal, an advisor to many Fortune 500 brands, has written this article on Forbes. It details many of these concepts to help with effective marketing for physicians. At ASTRALCOM, we specialize in the creation of engaging experiences that help connect patients with the medical services they need. From online reputation management (ORM) and search engine optimization (SEO) to banner ads, content development, and social media marketing, we can help your practice or healthcare organization grow. By working with us, you will be in better position to reach a larger audience across multiple platforms. We have worked with several healthcare and healthcare-related clients to create inspiring content to help effectively sell medical and health-related services. Let us know how we can help you connect with and serve more patients.